Free the Vote North Carolina has awarded an A rating to 10 candidates for the state General Assembly. The candidates, all challengers, include five Libertarians and five Republicans. 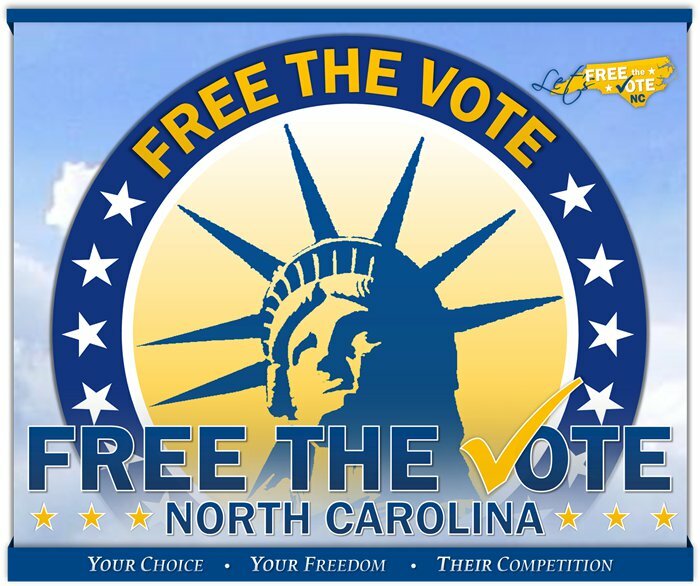 Free the Vote NC is a political action committee whose goal is to restore competition in the state’s elections by reducing or eliminating ballot access restrictions. Greene said they mailed surveys to all candidates for the General Assembly in the general election, but only 20 replied. Go to FreeTheVoteNC.com to read the complete survey and the candidates’ responses. Free the Vote North Carolina is the new name for the political action committee formerly called North Carolinians for Free and Proper Elections. The group recently adopted the new name and unveiled a new website. Despite changes in the state’s election laws, Greene said that ballot access remains a major obstacle for anyone outside the two major parties and the problem is getting worse. “We believe North Carolina’s ballot access laws not only restrict constitutionally protected rights, but exist merely as an expedient to preserve the power and influence of the major parties and incumbents,” Greene said. 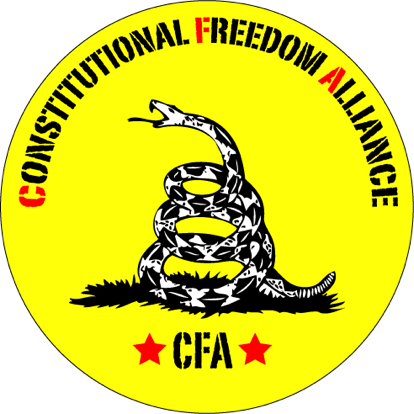 The Free the Vote NC board of directors includes representatives from the Libertarian, Constitution, Conservative and Modern Whig parties. The group intends to lobby for passage of a ballot access reform bill they have drafted in the next session of the general assembly. “North Carolina still has the second most restrictive ballot access requirements in the nation,”Greene said. Free the Vote NC wants to reduce the number of signatures needed for a third party or independent candidate to get on the ballot, and reduce the number of votes a new party must get to retain ballot status. Greene said the group will be reaching to all political parties and groups across the political spectrum to form a coalition in support of this simple and basic reform. Follow Free the Vote NC on Facebook. Durham libertarians are urging city residents to vote no on the street bond referendum that will appear on the November ballot. “Durham is already more than $400 million in debt and the mayor wants to add to that burden,” said Matt Drew, Durham Libertarian Party chair. He said that yearly debt payments are $50 million and $15 million of that is just in interest. City officials estimate that debt-service payments on the proposed $20 million bond would add 0.76 cents per $100 of assessed value to the city’s fiscal 2011-12 property tax rate. That would add $11.40 to the tax bill for a $150,000 house. The money is supposed to help clear a backlog of street repairs, according to city officials. This is not the first street bond issue put before Bull City voters. Another $20 million street bond passed with a overwhelming 74 percent of the vote in 2007, but none of that money has actually been spent yet. Drew questions why the city is borrowing money to fund basic infrastructure, yet giving away millions of dollars in corporate welfare. “While the city is funding basic services through debt, the city council just voted to hand over $4.2 million dollars in corporate welfare to Greenfire (a private developer) to build a hotel,” Matt Drew said. Drew was only one of two people who spoke against the Greenfire welfare grant at the public hearing September 20. In addition to increasing taxes earlier this year, he said that the city council is going to increase taxes again to pay for this bond. “Ask yourself: do these tax increases ever go away once the bond is paid off,” he said. He said that the city council just needs to make the hard decisions, set priorities and pay for the repairs from the general fund. “Voters should send the council the message that we’re tired of living beyond our means, and that we should be paying for basic services once instead of twice through interest,” Drew said. The North Carolina Supreme Court heard oral arguments in what could be a landmark ballot access case for the state. The hearing culminated a five-year legal battle by the Libertarian and Green parties to reform the state’s restrictive ballot access laws. Five of the seven justices grilled the attorneys for both sides. It appeared from the questions that the justices were very familiar with details of the case and the history of ballot access in the state. The questions focused on several key issues, including the limits of the state’s compelling interest in regulating elections, what causes so-called “ballot clutter,” and the concept of “voter confusion” that may or may not occur with multiple parties on the ballot and multiple offices up for election. Justice Edward Brady observed that the bottom line of the case was about control. “The one who controls the law, writes history,” he said. Several of the justices questioned the argument by the state that a ballot with more than two parties would result in long lines on election day and discourage voting. “What’s wrong with that,” commented Justice Brady. He pointed out that the United States is the only major democratic nation with only two political parties. “There are lots of other ways of dealing with long lines than keeping people off the ballot,” responded Ken Soo, an attorney representing the Libertarian Party. The state attorney was also vague in responding to several questions for the justices to specifically define the state’s “compelling interest” in limiting the number of parties on the ballot. “There never has been any evidence provided by the state to show that it has a compelling interest in such restrictive ballot access laws,” said Robert Elliot, an ACLU attorney representing the Green Party. “This case is not about the Libertarian Party,” said Barbara Howe, Libertarian Party chair, “This case is about the people of North Carolina.” She said that the huge barriers erected by the State for ballot access, which get bigger every year, limit political dialogue and limit voting choice. It will probably take several months for the court to issue a decision, according to attorneys for the Libertarian Party. They believe that whatever the court decides, it will be a landmark decision for ballot access. The Libertarians filed the lawsuit in 2005 and the Green Party joined in 2006. They argue that North Carolina’s ballot access restrictions violate the state constitution, which guarantees that all elections shall be free and that with very few restrictions every voter shall be eligible for election by the people to office. He said that the state constitution does not say one has to join a particular party in order to participate in the system. During the trial and appeal process, the state simply asserted that the restrictive laws were necessary to avoid “ballot clutter” and “voter confusion,” and other problems with elections. Yet the State offered no factual evidence, presented no witnesses, nor provided any research or studies to support this contention. On the contrary, the State’s own witness admitted that the State has never studied the issues of ballot clutter and voter confusion and the board of elections director and deputy director testified at trial that the problems were caused by other factors, including split precincts. Elections director Gary Bartlett also testified that cutting the petition requirement for new parties in half would serve the State’s purpose. “All fair-minded people support ballot access laws that do not require unreasonable use of time and financial resources,” said Durham Green Party activist Theresa El-Amin, recently elected c-chair of the national Green Party. The appeals court decision was a watershed decision and may have implications for constitutional law beyond North Carolina, said Jason Kay, a senior staff attorney with the N.C. Institute for Constitutional Law. “The (appeals) court, having held that strict scrutiny applies — which means that they must dig into the statue and a reasoning analysis was appropriate — then said, ‘Well, we have to resolve all doubt in favor of the state,” Kay said. 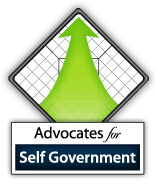 The institute was one of ten groups from across the political spectrum who field amici curie briefs in support of the Libertarian-Green appeal. The others are the Southern Coalition for Social Justice, Democracy North Carolina, FairVote Action, the League of Women Voters-NC, Common Cause, North Carolinians for Free and Proper Elections, the John Locke Foundation, the N.C State Conference of Branches of the NAACP and the N.C Center for Voter Education. “It’s a matter of giving voters alternative choices at election times,” said Alan Burns, Green Party member and environmental activist of Charlotte. Nearly half the state house and senate seats routinely have only one name on the ballot, he said, and more than 85 percent of the races are predictable victories for one of the two major parties. “It’s a far cry from democratic rights for voters” he said. North Carolina has the second most restrictive ballot access laws in the nation. It is less difficult to get on the ballot in 48 other states – and in Russia and Iraq – than it is in North Carolina. Current law requires 85,379 valid signatures for a new political party to get on the ballot. That means petitioners would need to collect over 100,000 signatures to allow for rejections and to achieve the required number of valid signatures. Once the new party is certified, it must garner two percent of the vote for governor or president to remain ballot qualified. Otherwise, it must start the lengthy and expensive process all over. South Carolina and Virginia require only 10,000 signatures for a new political party or independent statewide candidate as does New York. Tennessee requires only 275 signatures for a presidential candidate and 25 signatures for Congressional candidates. For the second time in the campaign, all three candidates for U.S. Senate appeared on the same stage to answer questions from voters. This time, it was a candidate forum held by the N.C. Agribusiness Council on the closing day of their 41st annual leadership conference yesterday in Durham. Republican Sen. Richard Burr, Democratic N.C. Secretary of State Elaine Marshall and Libertarian Dr. Mike Beitler separately answered five questions posed by council representatives. Topics included immigration reform, federal restrictions on tobacco exports, alternative fuel and energy sources, government regulation of farming, and animal rights and welfare. “We need common sense immigration reform that begins with border security,” said Burr. Marshall also called for securing the border “first and foremost.” “We need to have a safe, stable and legal supply of workers,” Marshall said. “Immigration is an issue the major parties have been dodging,” said Beitler. “I believe in amnesty and a pathway to citizenship for undocumented workers.” He said that the state needs a policy that would allow a quick and efficient method for people to come here to work. In several responses to questions about federal regulation of farming, Burr and Marshall said that they believed farmers are the “best stewards” of the land. Beitler also agreed, but added that he not only opposed government regulation, but also corporate welfare for farmers. Marshall said tobacco farming was being unfairly singled out. “Politicians cannot continue to look at tobacco as a cash cow,” Marshall said. Beitler also noted that tobacco was the target of unfair regulation. “I’m concerned that it is being singled out for regulation which is unfair to the tobacco industry.” That is why he said he opposes the ban on smoking in restaurants and bars. He said that farmers should consider alternatives. One such crop, suggested by Thomas Jefferson, is hemp. While the plant is related to marijuana, it is not a hallucinogen and could be used to make other products, including rope and paper. Libertarian U.S. Senate candidate Mike Beitler told the North Carolina Latino Coalition Assembly yesterday that he supports amnesty for illegal immigrants and a pathway to citizenship. “I challenge my opponents to take the same stand,” he said. The coalition is a nonpartisan, multi-issue network of organizations dedicated to building relational power among grassroots Latino leaders. About 1,500 delegates representing 40 organizations and churches sent delegates to the assembly held in the Immaculate Conception Catholic Church, Durham. Beitler was accompanied by three Libertarian candidates for Congress, Thomas Hill, District 6, Tom Rose, District 2, and Lon Cecil, District 12. In addition, Republican B.J. Lawson and the Democrat incumbent he is challenging, David Price, also addressed the assembly. Beitler said that no one should be considered illegal simply because of where they come from. “You have the right to go where the jobs are, without being penalized by the government, persecuted by racists, or imprisoned for simply trying to make an honest living for yourself and your family,” he said. Family reunification. Reduce the backlog of visa petitions that often take several years and implementing a more efficient process. Workers protection. Set up rules to protect wages and working conditions of those admitted legally to fill available jobs. Restore the rule of law and enhance security. Employ realistic law enforcement that targets terrorists, smugglers and lawbreaking employers. Allocate sufficient visas to close unlawful migration channels. Set the level of legal immigration by labor market needs. A rational and humane approach to the estimated 12 million undocumented immigrant population. Create a registration process that includes background checks, a fine, taxes and studying English and leads to permanent residency and citizenship. Only Lawson held up a “no” sign. He told the delegates that he could not in good conscience support amnesty for illegal immigrants. A U.S. District Court judge said he expects to rule on a North Carolina ballot access case by August 20, according to Ballot Access News. Judge Graham Mullen heard oral arguments in Greene v. Bartlett yesterday. The case challenges the number of signatures needed for an independent candidate to qualify to run for U.S. House. Since North Carolina began issuing government-printed ballots in 1901, no independent has ever qualified for a U.S. House race. The law requires verified signatures from four percent of the number of registered voters in the district. “They claim that what they meant by that statement is that if people had a right to vote for the candidate of their choosing, the state would have to put everyone on the ballot, whether or not they were running, which is an absurd statement,” Greene said. The plantiff’s argument that people have the right to vote for the candidate of their choice takes into account the fact that people themselves have made the decision to run for office. “That’s a much different claim,” Jordon Greene said. The state also presented the “cluttered ballot” argument which claims that since North Carolina may elect ten council of state positions at one time the ballot would be too long and cluttered. “This fails to take into consideration states like Washington, which also elects ten council of state positions, but whose burden on unaffiliated candidates is much easier,” Greene said. Washington only requires 1,000 signatures for independent Congressional candidates as opposed to North Carolina’s 16,000 to 23,000. “Washington seems to have no problem with a cluttered ballot,” he said. “No race for Congress had more than four or five candidate in the past several elections and most had only two or three,” he said. Democratic and Republican party officials are upset that the scandals plaguing North Carolina state government have reached into the board of elections. They are questioning the judgment and professionalism of state elections officials after media reports of private plane flights paid for with taxpayer money and the high cost of printing ballots under a state-granted monopoly contract. However, the concern expressed by these party officials for the integrity and fairness of the state’s election system is the very definition of disingenuous. Neither mentions that the state’s entire election system is totally controlled by the Democratic and Republican party establishments. For them to complain that it is a cesspool is like a sanitation worker complaining that people produce too much garbage. If the board of elections is a cesspool, it is because the people who built it and run it are producing too much of the stuff that goes into a cesspool. “The state’s election laws give special privileges to Democrats and Republicans, while denying basic voting rights to everyone else,” said Barbara Howe, state Libertarian Party chair. That’s one of the reasons the Libertarians are suing the state over its ballot access laws. For example, she said that the General Assembly has ordered elections boards to discard any vote cast for anyone they do not define as qualified. “Thanks to this rig, combined with gerrymandering, the General Assembly remains 100 percent Democratic or Republican in membership, although about 24 percent of North Carolina voters are unaffiliated or Libertarian,” she said. Only Democrats and Republicans sit on the state and county boards of election, which make crucial decisions about elections, including who is eligible to vote and who can run for office. Only Democrats and Republicans draw up voting districts. Only Democrats and Republicans appoint elections officials. To maintain their absolute dominance on power, Democrats and Republicans have concocted the second most restrictive ballot access laws in the nation. It’s easier to get on the ballot in 48 other states – and in Russia and Iraq – than it is in North Carolina. North Carolina’s election laws, by design of Democratic and Republican operatives and lawmakers, circumvent the rights guaranteed under the state constitution. They deny citizens their rights to free elections, free association, equal protection of the law, and the opportunity to vote for the person of their choice. The Democrats and Republicans don’t need yet another “bipartisan” investigation to clean up the cesspool. All they have to do is remove the barriers and restrictions placed on other parties and independent candidates and restore the rights guaranteed to all citizens by the state constitution. More than two centuries ago, patriots fought the largest and most hotly contested action of the Revolutionary War’s southern campaign. 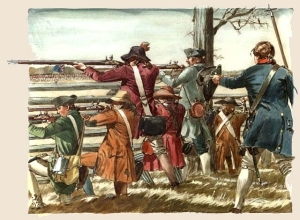 The Battle of Guilford Courthouse changed the course of the war and contributed to the eventual American victory at Yorktown seven months later. On August 14, modern American patriots will rally to Restore the Constitution on the site of that battle, now a national park. The rally is held to remind Americans they have a basic human right to keep and bear arms both for self-defense and to preserve individual freedom, according to organizers. “The American citizens who gather at the Restore The Constitution Rally will openly and safely carry their firearms as they peacefully assemble to proclaim their grievances and demand redress from their servant politicians and officials,” said Randy Dye, one of the event organizers in his blog Randy’s Right. Participants may openly carry loaded pistols and unloaded rifles or shotguns. Pistols must be kept holstered and rifles and shotguns must be kept slung over the shoulder, away from any ammunition. People with valid concealed carry permits can carry a concealed pistol. Organizers said that these rules are actually stricter than state law. North Carolina is considered an open-carry friendly state by gun rights advocates. People don’t need a permit or license to carry a holstered, loaded pistol as long as it is in plain sight. On the other hand, carrying a concealed gun is tightly regulated. State law does make it illegal to carry an open or concealed weapon in bars or restaurants that serve alcoholic beverages. Guns, rifles or pistols are also banned in certain areas, including schools, state and federal offices, or at parades, funerals or demonstrations. However, under Federal law is is legal to open-carry in national parks, which is why organizers choose this venue. Lon Cecil, Libertarian candidate for Congressional District 12, said he might attend the event, but probably will not bring his pistol. “Just as is true with free speech, freedom of assembly and every other right guaranteed by the Constitution , if you don’t insist on your Constitutional freedoms by exercising them in public, you will lose them,” Dye said. “Today’s patriots also recognize that when the Constitution and the Bill of Rights are interpreted consistently to justify the expansion of government and to mean whatever those in power say they mean, we are headed towards a return to life as subjects under the thumb of tyrants,” he said. Aware that some opponents will characterize participants in this event as racists, right-wing extremists or worse, Dye and the other organizers are asking those attending to follow strict “Rules of Non-engagement.” These rules are intended to insure there is no confrontation with any counter protestors who may show up. Openly carried pistols may be loaded, but rifles and shoguns must be unloaded and the ammunition for them must be kept away from the weapon. “Look elsewhere for that if somehow that’s what you think this is about,” he said. August 14, 1 to 4 p.m.